Olive Oil And Butter has become a “regular” for us. We love that it’s doing its own thing away from the cafe culture of both Yarraville and Seddon. The geography also means parking is never a hassle. The coffee is reliably very good. We love the syrupy sweet treats such as baklava, the custardy galaktoboureko and the more austere biscotti-style of paksimadia and koulouraki. But it is the plain cake-iness of the semolina revani that we have cone to love most – at first because it goes home in better nick but eventually just because it so good. 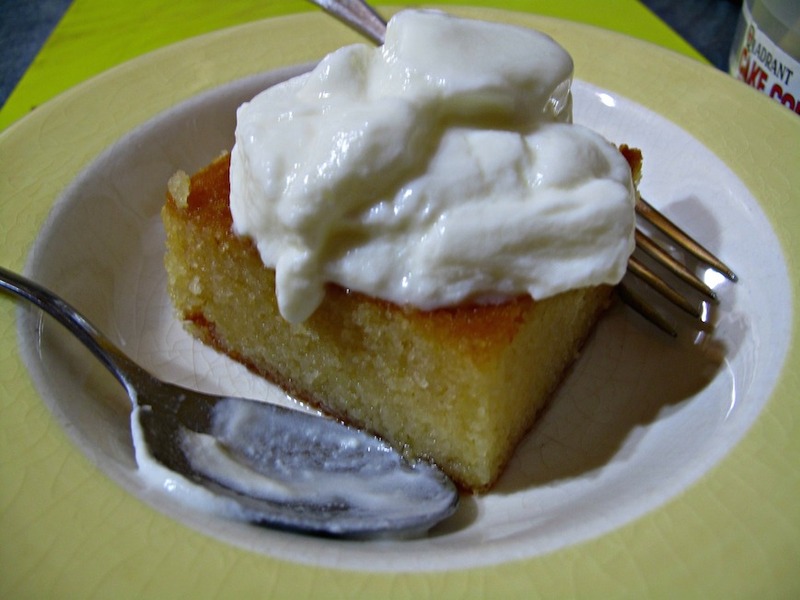 Especially when its syrupy richness is cut with a big dollop of high-class organic yogurt. 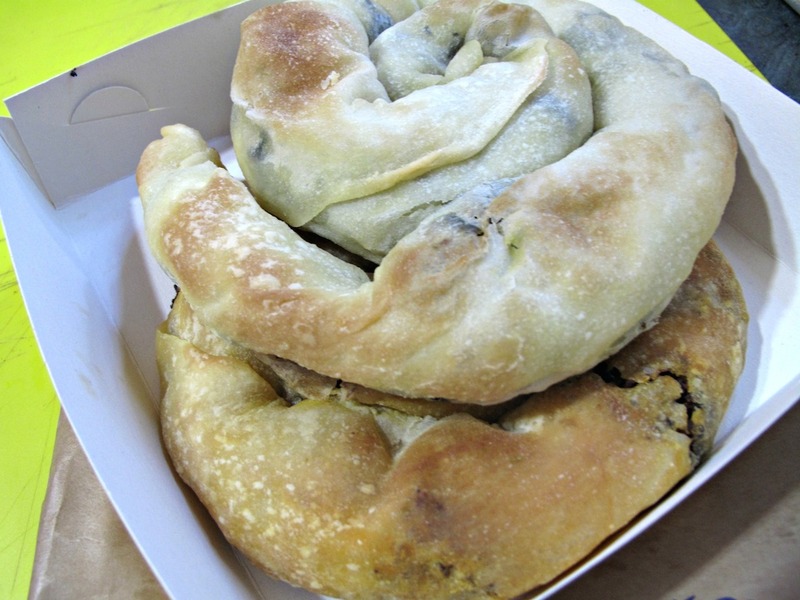 We take the spanakopita and its meaty cohort the kreatopita home often, too. These cost what seems a rather hefty $8.50. But one look, feel, smell or taste of the incredible quality of the pastry involved soon dispels such misguided views. 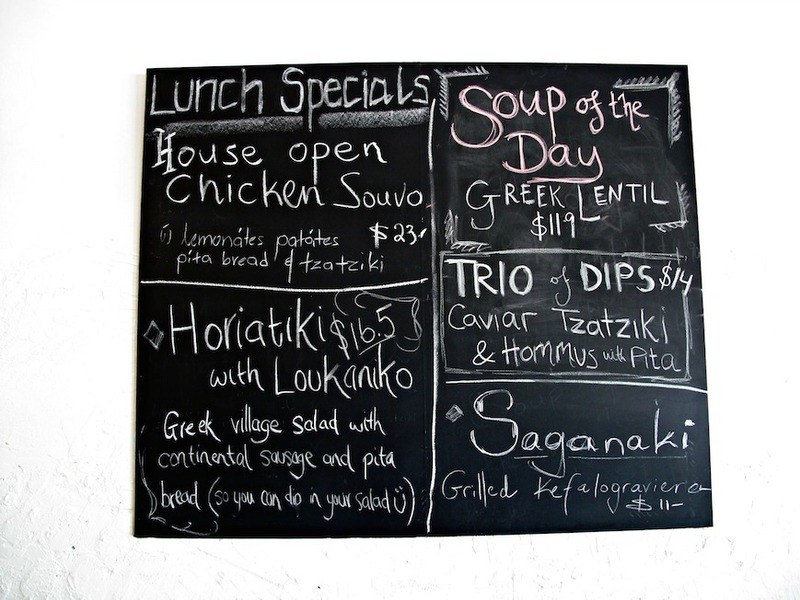 For in-house savoury treats, best bet is the tight blackboard list of rustic Greek dishes – just the sort of thing you might find at a roadside taverna. 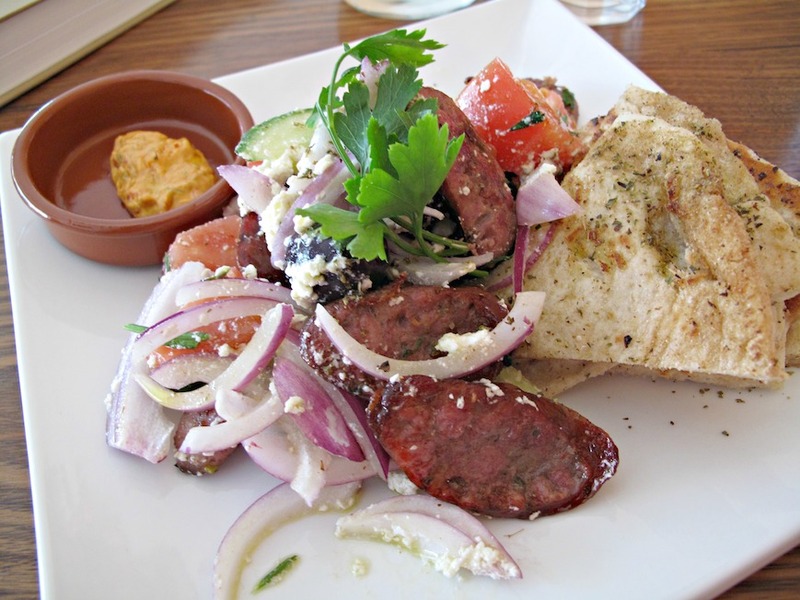 Horiatiki salad with loukaniko (sausages) is a treat for $16.50 (top photo). The serve is significantly more generous than the picture suggests. Best of all, there are multiple discs of superb, sweet, tangy, smoky sausage. The grilled, seasoned Greek-style pita bread – perhaps from this place? – does good mopping up the juices and a rather miserly serve of a nicely spicy pepper dip. Looks like the sort of food I’d love.